The growing desire among brands to improve customer experience has created a massive opportunity for technology suppliers to provide tools that help them build and deliver that experience. But as with many fast-growing segments of the marketing technology stack, confusion remains regarding exactly what a customer experience management (CEM) platform should do. Numerous suppliers have waded into the market, including OpenText, Sitecore, SDL and Adobe, as well as newer contenders including Backbase and HubSpot. Call centre technology companies such as Genesys and Verint also play in this market. Not surprisingly, each contender defines the market based on their own capabilities. 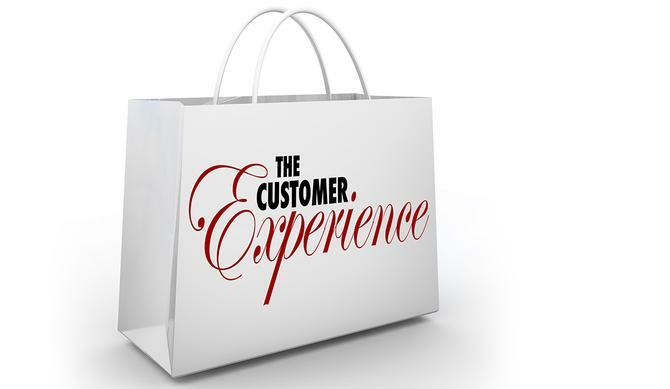 But the general thread of collating and managing customer data from multiple sources to create, manage and measure customer experiences remains consistent throughout. A key attraction of CEM platforms is their ability to combine multiple processes into a single system. That, however, inevitably sees them needing to connect to other tools within the marketing technology environment. That, in turn, has created an opportunity for marketing-focused integration agencies, such as Razorfish Australia, where managing director, Doug Chapman, says he has spent the last two years building his agency’s CEM platform capability. Ultimately, he sees the technology as fuelling the trend towards automation and disintermediation, replacing numerous traditional functions into a single package. He cautions against viewing them as a tactical implementation only. “We have done a number of major deployments in that space, and that brings in to play all of our UX and creative capability,” Chapman says. “People start the journey by thinking about the experience platform. But if you only do that you really are selling yourself short, because you are really just implementing one element of what is a fairly sophisticated platform. One key player in the CEM platform market is UK-based technology provider, SDL, which boasts a strong footprint among retail clients as well as financial services organisation. Country manager for Australia, Kevin Ross, says part of the interest in CEM platforms comes from brands realising they are no longer in control of the buying journey, if indeed they ever were. “Today, customers have that control,” Ross says. “Because of things like mobile phones and Google, customers have the ability to search and network and get commentary and look at what people have said before, so there is a well of information that affects how they get on that journey. The first is the ability to leverage customer data from multiple sources, across an organisation and from outside. The second is the need to do this in a way that captures entertains, captures attention, and maintains brand connection, while the third is the ability to integrate both requirements in the context of a customer journey. “So it’s the ability to provide rich immersive relationships with customers,” Ross says. Another contender in the CEM platform space is Sitecore. Vice-president of enablement services for greater Asia, Robert Holliday, says clients are looking for a central place to manage all content communicated out to multiple channels, starting with Web and mobile, but also adding email, social, mobiles apps, ecommerce and even print. “When we engage with a customer, we look at the buying journey of their consumer and the different touchpoints that they might have towards a conversion path,” Holliday says. “We will focus our strategy on how we can improve acquisition, and reduce their cost of acquisition, which is quite expensive for people given the cost of buying advertising and media. Holliday says the next requirement of a CEM platform is the tools needed to collect data on user behaviour across different channels, to develop insights. This is followed by the use of an automation system to create different personas and deliver a more personalised message across different channels. “The big consumer brands have really changed consumer expectations around digital, and the consistency they perhaps expect on an organisation’s mobile website, versus their app, versus their main website,” Holliday says. One client to adopt Sitecore’s CEM platform is the superannuation provider, AustralianSuper. “The company has a particular target audience on its public website, such as employees, employers and retirees, and then tracks user behaviour and uses that information to deliver personalised messaging to the different core personas,” Holliday says. While this tailoring can be achieved against anonymous Web traffic, once a user identifies themselves by logging in, a deeper level of personalisation can take place. Holliday says one of the use cases was to reduce the volume of calls into AustralianSuper’s contact centre. The company revamped its online sign-up capability to include a 100-point online identity verification. “The increase in online activations was considerably higher, in the region of 40 per cent,” Holliday says. Other local clients include an alumni management system for the Department of Defence, where Sitecore is used to gather insights from user behaviour and deliver tailored messages to the different groups within that large audience segment. Another is car manufacturer, Toyota. “Toyota has incorporated personalisation tools and persona tools to collect data and then deliver much more personalised content to really help dealers to close business,” Holliday says. Another segment Holliday says has been particularly strong in its uptake of CEM platforms has been energy utilities. The variety of reasons for implementing CEM platforms around the world is vast. Director for program management for customer experience management in EMEA at OpenText, Jean-Baptise Adet, says his company’s CEM platform is being used by the city of Barcelona to both promote the city and improve interactions with citizens. Fashion retailer, Ralph Lauren, is using OpenText for global brand management and the actual omni-channel delivery of content as well. “Ralph Lauren’s brand is everything, and the company needs to make sure the experience for the customer will be really consistent, and also make sure it can provide the right information to the retailer,” he says. Adet says the need to draw in multiple data sources means it is common to see a CEM platform integrated into CRM and data providers. The complexity of CEM platforms may be deterring some less advanced marketing organisations from investing in full platforms. For this reason, Razorfish’s Chapman says there has been a growth in interest in ‘lite’ versions of CEM platforms that that feature a core Web experience platform with additional capabilities in analytics, audience management and other CEM platform features. If anything is holding back the deployment of CEM platforms in Australia today, it is a lack of available talent to operate them. For this reason, Chapman says Razorfish has taken to investing in change management capabilities and helping clients recruit the skills needed to run platforms at clients after the implementation period has ended. “The real role is about finding the talent, training the talent and helping marketing departments reorganise around better qualified people and new roles to actually deliver on those platforms,” he adds.